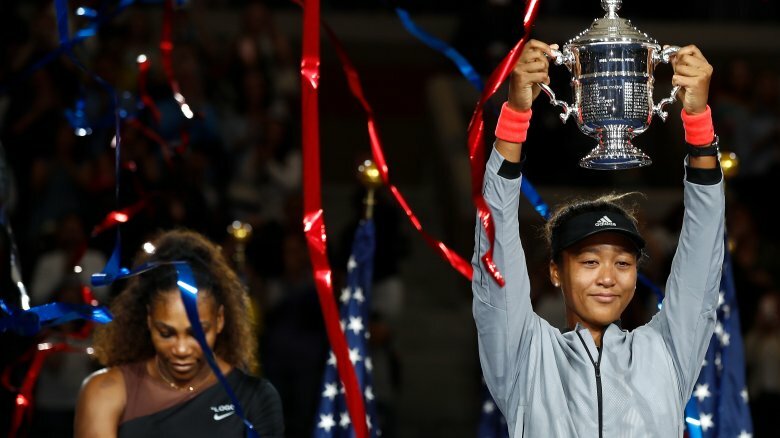 Since becoming a professional tennis player in 2013, Naomi Osaka has spent the duration of her career proving naysayers wrong. Flying under the radar, she racked up wins and climbed the ranks of the tennis world, earning a surprising victory against one of Australia's top-ranked players, Samantha Stosur, at the 2014 Bank of the West Classic. Her dream of playing against her idol, Serena Williams, came true in 2018, when they met at the U.S. Open finals. 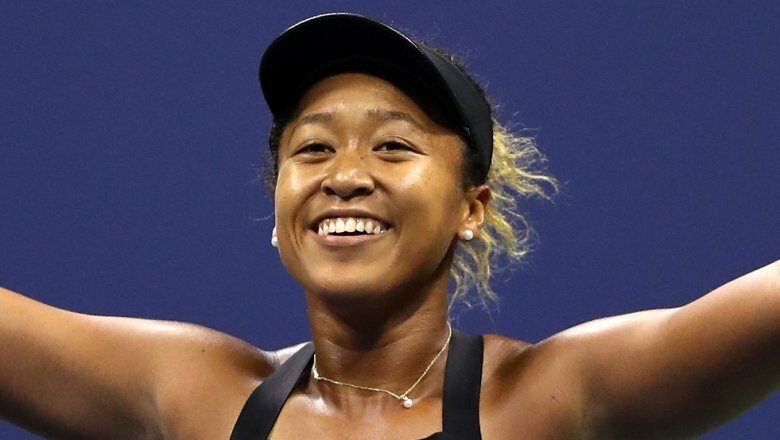 Osaka proved she was a force to be reckoned with when she and her mighty 100 mph forehand shot claimed her maiden Grand Slam victory. 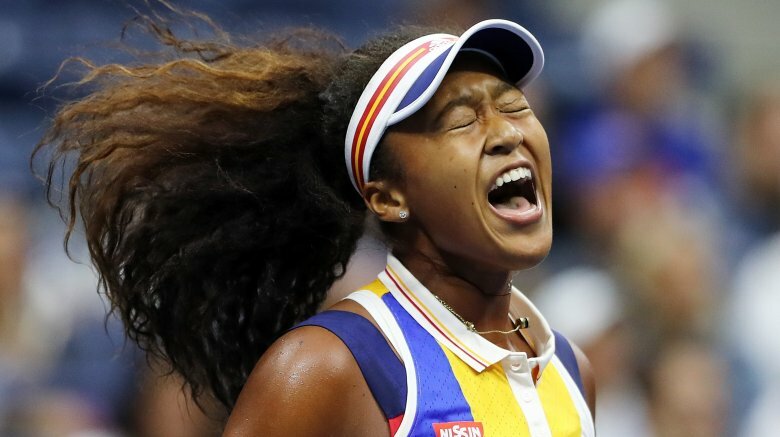 Die-hard tennis fans are familiar with the shy and quirky athlete who once charmed interviewers with her reference to the Pokémon theme song during a press conference, but to those who aren't hip to Osaka's athletic prowess, here's everything you need to know about the mixed-race Japanese tennis star. Her parents' love story began many years ago when the tennis starlet's mom, Tamaki Osaka, was sent off to attend a high school in Sapporo — the capital of Hokkaido, Japan. That's where Tamaki met Osaka's dad, Leonard Francois — a black college student from New York who was originally born in Haiti. A relationship commenced, but Tamaki attempted to keep the romance a secret from her parents for years. According to The New York Times, Tamaki's parents eventually brought up the idea of omiai – the tradition of arranged marriage in Japan. That's when Tamaki decided to tell the truth about her boyfriend. "Her father erupted in outrage, excoriating her for bringing disgrace on the family," the Times reported. 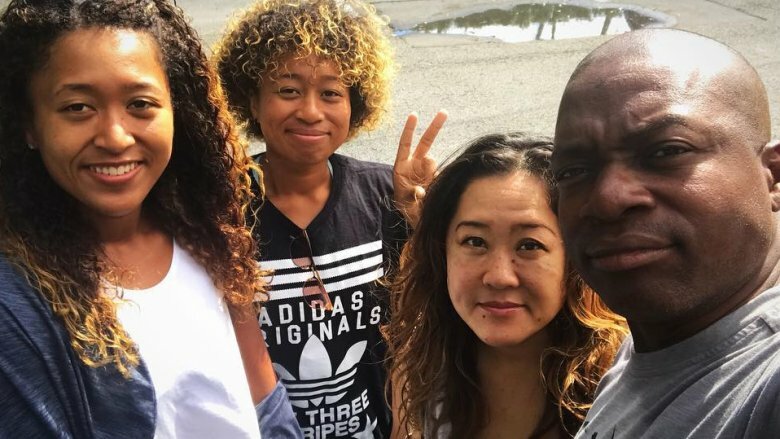 Naomi Osaka and her family left Japan and relocated to New York when she was 3-years-old. Sadly, the family, including her sister and doubles partner Mari Osaka, have remained estranged from her mother's side of the family. Ironically, though Noami may be shunned by her maternal kin, her native Japan was beaming with pride after she clinched her first U.S. Open victory! 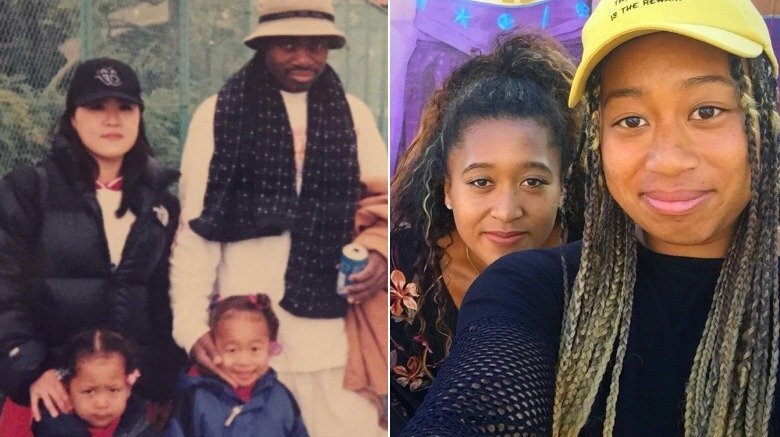 While watching the French Open in 1999, Naomi Osaka's father, Leonard Francois, was mesmerized by sisters Venus and Serena Williams, who went on to win the women's doubles title during that year. Francois wanted the same for his daughters, so he crafted a plan to turn his little girls into sports stars. After relocating the family from Long Island to Florida in 2006, Naomi and Mari began training full-time during the day and being homeschooled at night, The New York Times reported. All of that hard work paid off. As of this writing, Osaka has bulldozed her way to the World Tennis Association's No. 7 spot after defeating Serena Williams at the 2018 U.S. Open. She was also crowned the first Japanese player to ever win a Grand Slam, according to The Guardian. Go, Naomi, go! The sky's the limit for this athletic powerhouse. 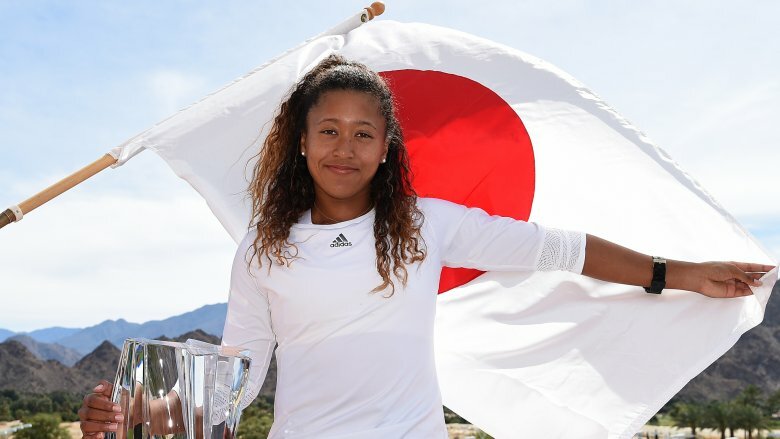 Because she's a Japanese-American dual citizen, Naomi Osaka's dad decided she would join the Japanese Tennis Association as opposed to the United States Tennis Association, hoping the former would afford her more opportunities, according to the The Washington Post. Despite being proud to rep her Japanese roots, Osaka shies away from speaking the language. "I can understand way more Japanese than I can speak," she told USA Today. But is Osaka holding out on us? She revealed a major secret to her fan base in a January 2018 tweet: "I don't know if you guys know this but I can understand most Japanese and I speak when I want to. [...] that applies to my family and friends." So, there you have it. She can speak Japanese…but only when the mood strikes! 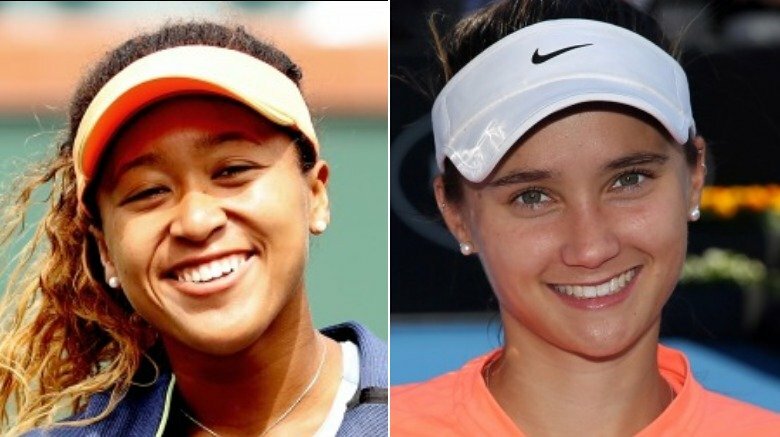 Naomi Osaka was an enigma when she broke into tennis' elite circle. Folks were confuddled by her name and appearance. Though her surname, Osaka, is Japanese, many were surprised when they saw her bouncy brown hair — oh yeah, and when they noticed that she's also half black. "Osaka" is her mother's maiden name, and it's also the name of the city where the tennis star was born. Despite the fact that her parents are still together, Osaka and her sister used their mother's surname because "it was mostly a practical matter when they lived in Japan, helpful for enrolling in schools and renting apartments," reported The New York Times. Though she's living and training in Florida as of this writing, her last name is a constant reminder of an integral part of her heritage. 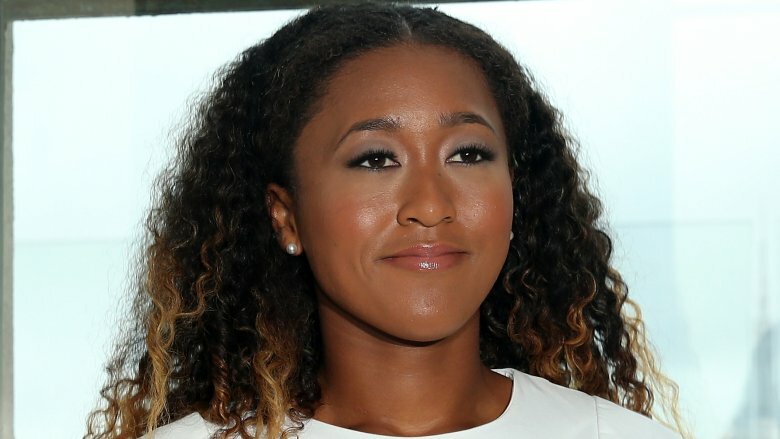 It's Naomi Osaka's awkward, self-deprecating humor that has made her a must-follow account on Twitter, but when she isn't tweeting up a storm, she's rather shy in real life. Her coach, Sascha Bajin, didn't know what to think of Osaka's reserved nature when they first met. "She's pretty shy and doesn't talk much so I just didn't know much about her beforehand," Bajin told ESPN. "I always thought she had a big game, a lot of potential, but I thought she was going to be super arrogant, because she doesn't talk much. But I was surprised. She's super sweet and has a very unique sense of humor; she's very sarcastic and makes fun of herself." After realizing just how "down to earth" she really was, Bajin and Osaka struck up a friendship that has transitioned outside of the tennis courts. He's even accompanied her on some of her off-court adventures, from zip lining in Dubai to bonding over desert safaris, ESPN reported. Being shy hasn't hindered her pursuit to dominate the sport, but it has left Osaka wondering if there's a deeper meaning behind her bashfulness. Following her August 2017 win against Angelique Kerber in the first round of the U.S. Open, she said (via the New York Post), "I feel like maybe there's something wrong with me because I'm not as excited as I thought I would be." She even told reporters about the serious questions she pondered during the match. "I was thinking about it on the court: 'If I win, what would I do if I won? Hey, maybe I should throw the racket and scream or something.' But then when I actually won, I didn't do anything," she said. Osaka was rather stone-faced in the midst of her victory. In fact, she showed next to no emotion until she realized her mom had made a surprise trip to watch her compete. In that moment, Osaka said she "started crying a bit." After joining Twitter in September 2016, Naomi Osaka dared herself to become more e-friendly. She even got super bold and tweeted Croatian tennis star Ana Konjuh (pictured, right) in January 2017. "Lol hey! Totally weird random question but, how do you have such perfect eyebrows?" her awkward tweet read. Konjuh was flattered by Osaka's attempt to connect and replied, "Come visit me in Croatia I'll take you with me." Umm, #FriendshipGoals. While Osaka continues to rack of up friends (and Twitter followers), her shyness makes her a bit apprehensive when it comes to really putting herself out there. "I have more friends now, like people I can have conversations with, but I think I have to see them more, because I'm still new a little bit, so I think when they get used to me, being really weird, then maybe they'll talk to me more," she told Sport 360. It's okay to let your weird flag fly, Naomi!